It pays to be an Anton's customer. Check out the many ways to save. Duvet covers are a great investment. They help keep your comforter clean and safe from spills and can be easily removed for cleaning. When buying comforters, bedspreads or duvet covers read and keep all care instructions. Care instructions may be found on a temporary label, a hang tag, or on the packaging. Beware of special finishes that give off a glossy appearance. These special additives may look great when purchasing a comforter, however, can wear over time causing a chalky dulled appearance. If possible, make sure the bedspread has been preshrunk. Shrinkage of two or three percent can easily occur after cleaning if the fabric was not properly stabilized during manufacturing. This may cause the spread to not fit properly. Also, check the strength and quality of the stitching. Quilting stitches should run both vertically and horizontally with quilting lines 8 to 10 inches apart. Stitching should be strong, as loose stitching can allow the filling to shift during cleaning. Poor construction with loose stitching can allow the filling to shift during a care process. Bedspreads and duvet covers absorb body oil, make-up, spills, and soil from dirty hands. Many of these stains are “invisible” or hard to see, so don’t be fooled and clean your comforter once a season, or more depending upon use. If there is a spill, blot with an absorbent towel (don’t rub the stain!) and have the item cleaned as soon as possible. Make sure to tell the drycleaner about the stain. Time is an enemy of effective stain removal. Fluff your comforter when you make your bed. By providing a steady flow of air, your down will continue to loft. If you use a duvet cover, you may not have to clean your comforter as frequently (maybe once every 2 – 3 years). If simple shaking does not return your comforter to its original loft, it should be cleaned. Clean all matching or coordinating items such as shams, dust ruffles and curtains at the same time to ensure that any color or sheen loss is uniform. 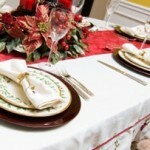 Don’t Let Stains Sit Too Long – Avoid letting a stain stay on your tablecloth too long. You can often remove minor stains with some grease-fighting dish soap and a soft-bristled brush. For tougher stains, bring to Anton’s for a cleaning. Wash – If the tablecloth is stain-free and only needs to be washed, follow the care instructions and use your washing machine for maintenance cleaning. Set the machine to warm, place the tablecloth in when the tank is halfway full. Household detergents can sometimes cause problems and a good warm water wash will usually do the trick. Dry – It’s important to not use your machine to dry your tablecloth. Place it on a flat surface or hang it outside to air dry. Starch & Press – Once you have cleaned and dried your table cloth and it’s done for the season, we highly recommend starching and pressing it before you store it. You can do this process at home, adding starch to the machine during the rinse cycle, and using an old-fashioned iron. Anton’s makes the process very easy by starching and pressing for you. Store. Once the tablecloth is properly pressed, you can store the tablecloth. Make sure it’s folded nice and neat and then store it in your linen closet. 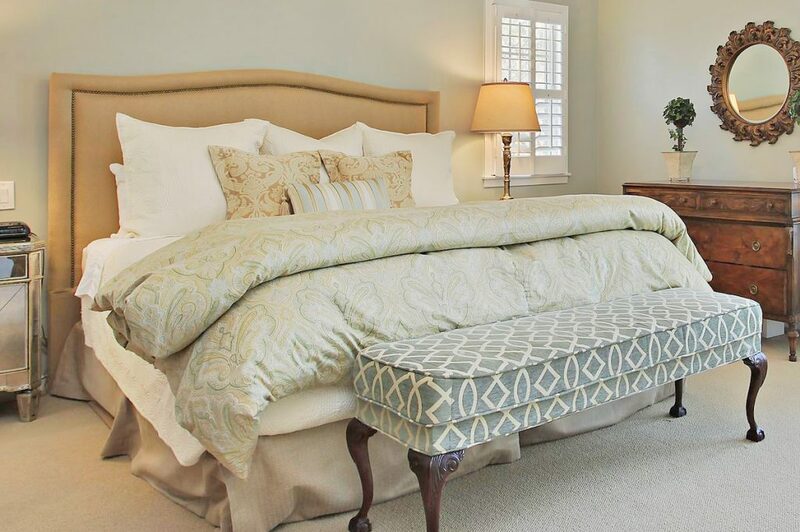 When storing your linens you want to make sure that you are using a location that is well ventilated and avoid using such things as cedar chests, cardboard boxes and plastic bags. Anton’s Closet is a great place to store linens if you need extra space. What’s the Best Way to Clean Bedding? Bed coverings are a focal point of your bedroom and will benefit from freshening after months of use. Many people only clean their comforters or bedspreads once a season. If you use a duvet cover, you may not have to clean your comforter but once every 2 – 3 years. But if simple shaking does not return your comforter to its original loft, bring it to Anton’s and have it professionally cleaned. Before cleaning, inspect the comforter or bedspread for rips, tears and weak areas. These articles become quite heavy when immersed in solvent or water and during cleaning the weak areas can enlarge. It’s best to address the problem before cleaning. Also, cleaning or laundering all matching and coordinated items (shams, dust ruffles, curtains) at the same time helps to ensure that any color or sheen loss is uniform. A. Wet cleaning is a process used by the few professional drycleaners who have the state-of-the-art computer-controlled equipment that monitors water level, temperature, agitation and soap dispensing. It’s environmentally safe as water is the solvent. The controls can be programmed for many variables, including how fast the drum inside the washing machine rotates, the temperature and amount of water used, the amount of detergent added to the wash cycle and the air temperature and length of the drying cycle. This makes it a versatile process for many types of fabrics. Regular dry cleaning of comforters and blankets will also eliminate the endotoxins found in dust mites. Clean sheets and pillowcases in the same temperatures normally used by commercial cleaners and launderers (very hot — over 130°F) — and dry them in a hot dryer, or have your bedding commercially laundered and pressed. Dust mites cannot live in environments over 130°F. Don’t dry sheets outside, since that brings more allergens inside. Cover mattresses, box springs, and pillows with allergen-proof casings, which can be purchased at any linen store. Think twice before running a humidifier, since humidity encourages the reproduction of dust mites. If you must use one, clean it regularly to prevent mold growth. A. Although cleaning down items is usually not a problem, a comforter with poor construction and insufficient quilting can cause the down to shift, lose shape, or become matted. It’s a good idea to look for these things before purchasing a comforter. It is also important to check the strength of the stitching. Weak stitching can allow the down to shift and the comforter to come apart. A. Handmade quilts need to be treated with great care. If the fabrics were not prewashed before the quilt was made, all colors should be checked for colorfastness. Gently rub a wet cloth over a small area in each section of the quilt. You will see if any of color comes off. Since quilts are made up of many pieces of cloth, it is necessary to test all sections. Some dyes will run in water and mild detergent, while others will run in dry cleaning solvents. If you decide washing is safe for all colors and fabrics in the quilt, fill a tub with water and mild detergent. Gently work the detergent and water into the quilt. Drain the water and fill with fresh water rinsing thoroughly until the water is clear. If there is any question about the condition of the fabric and its ability to be cleaned, don’t take a chance. Hang the quilt out to air dry instead. A. The answer is “Yes.” Consumers are sometimes surprised when they get a bedspread back from the cleaner to find that the colors have faded and don’t match the companion pieces. Sometimes there’s an overall lightening or a complete change of color. There can also be streaks or a frosted appearance. This occurs because the fabrics are not “colorfast” to dry cleaning solvent. Before doing anything, read the care label. If you have colorfast concerns, ask your drycleaner to test the fabric before proceeding. This is the standard practice at Anton’s Cleaners. A. As you might expect, we recommend that you read the manufacturer’s care instructions carefully before doing anything. There may also be a permanent label attached to the blanket. Unless otherwise indicated, electric blankets should be machine washed on a gentle cycle and line dried. Do not put your electric blanket in the dryer. When hung to dry, electric blankets will not require ironing. Dry cleaning is not an option. Electric blankets are made with electrical wires that are covered with plastic casing that may be solvent-soluble and expose the wires. This can cause a short circuit or even a fire. What do you recommend about pillows, blankets, duvets, and comforters? A. As with clothing, read and follow the care instructions carefully. If labels are on the packaging or are removed because they are scratchy, it is best to keep them in your linen closet or laundry area, so you can find them when needed. Although a drycleaner’s past experience and knowledge of fibers, fabrics and dyes can guide the best and safest method of dry cleaning, saving the labels is the best damage prevention method. If your pillows are synthetic filled, you can wash and dry them. The thickness and density of pillows means that you will need extra rinse and dry cycles. If you have natural filled pillows, like down or feathers, they should be sent to the drycleaner where the ticking is removed and the feathers sanitized. Pillows are best protected from dust and dirt with a pillow protector and pillowcase. When proper care is taken, I recommend cleaning pillows at least once a year. Freshening up your pillows by airing them out on a dry, sunny day is also a good idea. Blankets should be cleaned before storing away for the spring. Soiled blankets placed in storage attract insects and stains can set and weaken fabrics. Cotton and synthetic blankets generally can be washed and dried. A fabric softener may be used to help reduce static cling and keep the blanket soft. For wool blankets, I recommend dry cleaning. If washed, wool blankets can experience shrinkage and lose their shape and softness. Sometimes customers will bring in a blanket that has shrunk and ask us to “stretch” it. Unfortunately, if the shrinkage that occurs is severe it is not reversible. Dry cleaning best maintains blanket size, shape, feel and appearance. While this is a personal decision, most people clean their comforters or bedspreads once a season, or more depending upon use. If you use a duvet cover, you may not have to clean your comforter but once every 2 – 3 years. If simple shaking does not return your comforter to its original loft, it should be cleaned. Some problems that can occur when cleaning comforters or bedspreads are shrinkage, color loss, dullness, and tears. You can avoid some of these issues at the time of purchase by checking to be sure that the bedspread has been preshrunk and that down or fiber-filled bedspreads are well quilted. Quilting stitches should run both vertically and horizontally with quilting lines 8 to 10 inches apart. Stitching should be strong, as loose stitching can allow the filling to shift during cleaning. Before cleaning, inspect the comforter or bedspread for rips, tears and weak areas. These articles become quite heavy when immersed in solvent or water and during cleaning these weak areas can enlarge. It is recommended that you clean or launder all matching and coordinated items (shams, dust ruffles, curtains) at the same time. This helps to ensure that any color or sheen loss is uniform. Finding appropriate space to store bulky comforters, bedspreads or blankets can be difficult. Items need to be properly cleaned before storing in a dry, well-ventilated area that does not have direct exposure to sunlight or artificial light. Consider trying our Anton’s Closet where storage is in a temperature-controlled facility. You pay only for the cleaning and your household items are safely stored for the season. Click here for more information. A. The dry cleaner can launder your bags, rather than dry cleaning them or you can take them to a laundromat and use a large front-loading washer. It takes time to properly clean sleeping bags. They should be washed on the gentle cycle in cool water, may require multiple rinsings to remove all the soap and should be dried on a low heat setting. Nylon sleeping bag shells will melt if exposed to high heat and down can become lumpy. Solvents used in dry cleaning can strip the natural oils from the feathers in down bags and cause them to lose their loft and warmth; therefore a quality dry cleaner will launder your bags. Before washing, check the bag for heavy stains, rips or tears. Pretreat any stains and repair damages before cleaning. When storing your sleeping bags, never use a plastic bag as it can cause mold, mildew and bacterial growth. Subscribe to our eNewsletter and receive savings, tips and updates delivered right to your email. Join VIP Express To Get Our Highest Level Of Service, Plus Monthly Coupons For 50% Off! © 2019 — Anton's Inc • All rights reserved.